Located off Murfreesboro road, the Historic Downtown is a single-family home development in Franklin TN (Williamson County). Popular streets in Historic Downtown include Lewisburg Avenue, Park Street, Adams Street, Roberts Street and Jennings Street. 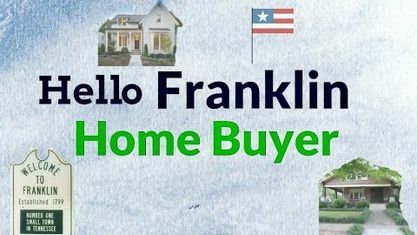 Other popular Franklin Subdivisions near Historic Downtown include Battle Ground Park, Battlefield, Benelli Park, Brownstones, Ewingville, Farnsworth, Harpeth Meadows, Lookwood Glen, Lynhurst, Moores Landing, Southern Preserve, Stream Valley, and Vandalia. View our selection of available properties in the Historic Downtown Franklin area. Get to know Historic Downtown Franklin better with our featured images and videos.